Carousel Princess 1st Birthday Party, Pink & Gold. 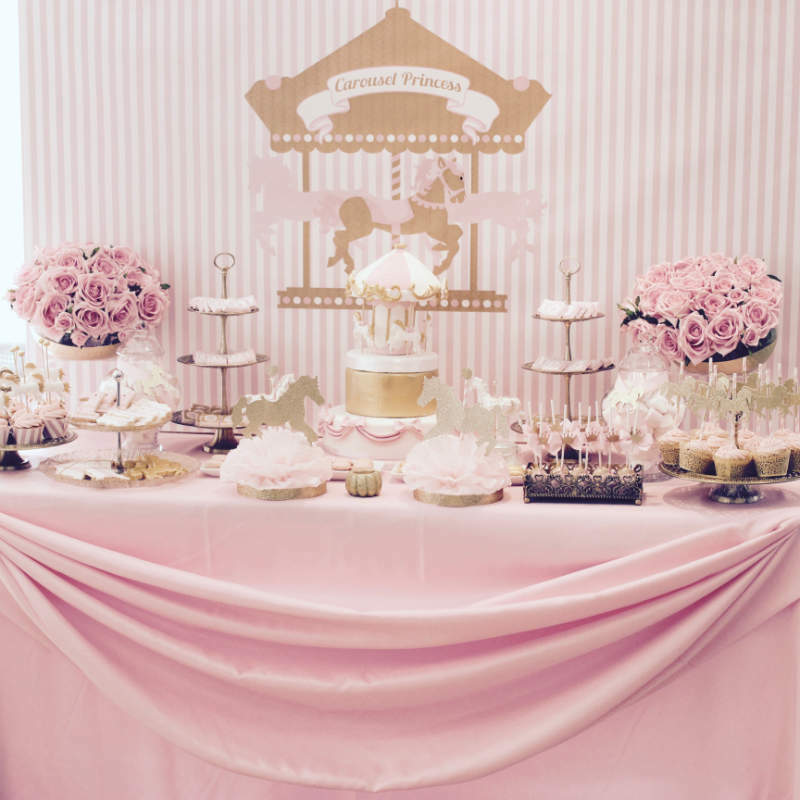 A pink and gold glitter girl’s 1st birthday celebrated in true princess style! It’s clear that Maysa has thought about every last detail. It starts with the elegantly draped soft pink cloth, stylish themed sweets, tasteful table decorations, beautiful pink roses and of course our gorgeous banner that was custom designed to fit the width of the table. The impressive birthday cake was made by Le Chocolatier Dubai. Our Carousel banner in pink and gold fits in perfectly amongst the elegant set up of this carousel princess 1st birthday party. Thanks Maya for taking the time to send a photo of this beautiful set up. Carousel Princess banner by Little Dimple Designs.